I found it interesting to compare the scenery along my walk to work this week in Jena, Germany to what it was two weeks ago. A that time I shared pictures of the trees along the way in Walking to Work. In the last two weeks the fall colors have definitely changed. Here is the path behind my hotel this week. The picture on the left is from this week and the one on the right is from two weeks ago. 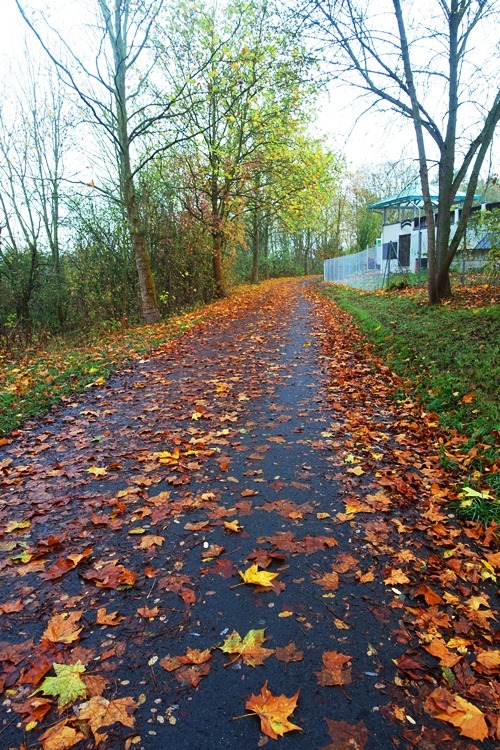 You can see that a lot of leaves have fallen on the path. Here is another section along the path. Again you can see that there are a lot less leaves in the trees and a lot more on the ground. For the next set of pictures I am going to reverse the order and show them full size. Here is the tree lined street that our office is on. You can see the beautiful trees that are full of colorful leaves. Just two weeks later here are the same trees almost completely bare of leaves. You can still see some leaves on the ground below the trees. This is a big contrast. Not as noticeable is that it is a bit darker as I walk to work. The days are rapidly getting shorter. It is more noticeable on the way back to the hotel, especially as today I had a lot of work to do after class and didn’t leave the office as soon. The colors are fading, but it is still beautiful. I am looking forward to getting home as the fall colors will start appearing there soon. 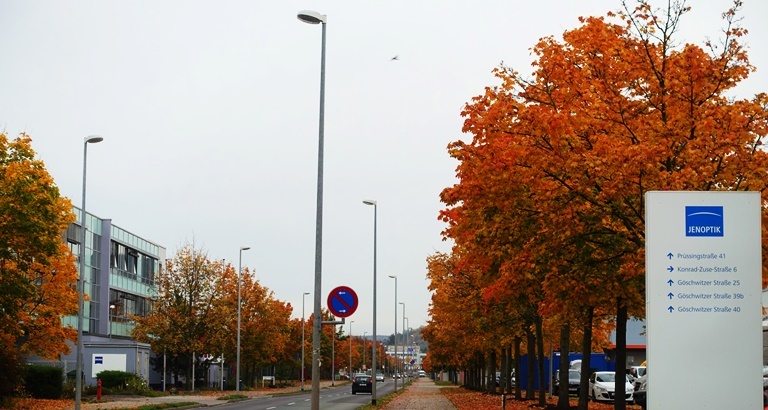 This entry was posted in Germany, Nature, Seasons, Travel and tagged autumn color, Changing seasons, colorful scenery, fall color, jena germany, Trees, walking path. Bookmark the permalink.